BEFORE THE BEGINNINGThis fascinating book takes a trip back to eternity past, showing the Godhead (Father, Son & Holy Spirit) in conference, discussing their future plan to create a brand new creature, called man. 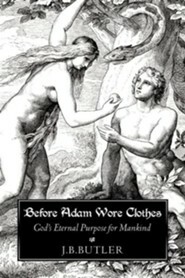 It then focuses in on a once high-ranking angel named Lucifer, at the very point when he decides to overthrow Almighty God, and how later, his destiny and mankind's became intertwined.WHAT REALLY HAPPENED, IN THE GARDEN OF EDEN?Next, is on to the world-famous Garden of Eden, earth's very real, original paradise setting. The Lord (Jesus) personally forms the first man Adam, and some while later creates a woman (Eve), and they become man and wife. Their story is the heart of the book, with a verse-by-verse, in-depth examination, of what really went on in the garden, that's still impacting every single human being and living creature on planet earth, to this day.JESUS CAME TO EARTH, TO RESTORE WHAT ADAM LOSTIt's interesting to hear people's opinions on why they think Jesus came to earth. Many think He was one of a long-line of enlightened spiritual leaders, sent to show us how to live on a higher dimension or spiritual plane, of existence. Others think He was a very good man, who had wisdom to share with us, and a system of religious teachings from which the Christian religion came about. Then there are a large number of people who believe He was the Son of God, but they're not real sure what all was involved with His being here, especially the part about Him being killed. Jesus became a man to reverse Adam's curse, and to make it possible for everything to be restored, as it was in the beginning, so that mankind can rule and reign with Him, throughout eternity. 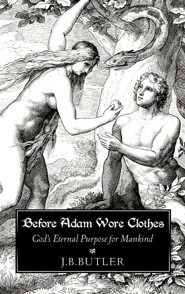 I'm the author/artist and I want to review Before Adam Wore Clothes.